KUCHING: As they celebrate Hari Raya Aidilfitri today, Muslims should remember the sacrifices made by their forefathers and the challenges they faced to make Malaysia what it is today. 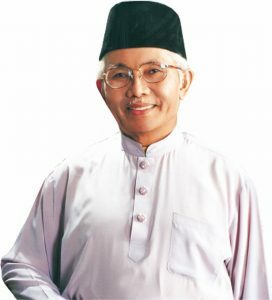 Head of State, Tun Pehin Sri Abdul Taib Mahmud (pic) said this in his 2017 Hari Raya Aidilfitri message. “Their sacrifices gave their children and their future generations the chance to build better lives for themselves,” he added. The former longest-serving Chief Minister said the high level of determination, tenacity and hard work shown by these forefathers had made Malaysia successful today. “From a poor country, we can now say that it is prosperous and brings the people employment opportunities for better lives. “Today, the many races of this nation are able to work and live together peacefully, which adds to the prosperity and makes us stronger. “Rural folks can now easily travel back and forth to the cities, enabling them to transform their economic situation and allowing them to achieve more in life. “We are aware that our fate depends on our efforts to preserve the prosperity and political unity of the nation. “Although we have many differences, we have a role to play to preserve the unity here and to also instil high ambitions in our children so that they can change their own future,” added the Head of State. Taib: Remember our forefathers’ sacrifices 0 out of 5 based on 0 ratings. 0 user reviews.